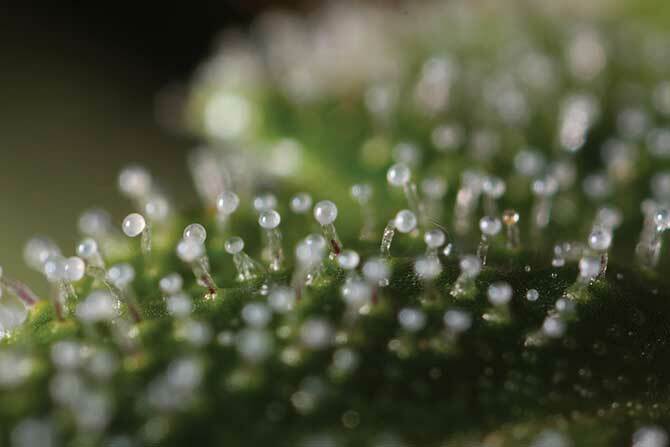 One thing every grower should have would be a microscope for marijuana. A must in any growers toolkit! This piece of gear will be used a lot during the grow. Even after harvest, this can be a valuable tool to inspect your cannabis. If you are not a grower the marijuana microscope could be used to check your medical marijuana from a dispensary for mold and trichome development. Or even recreationally if you would like. 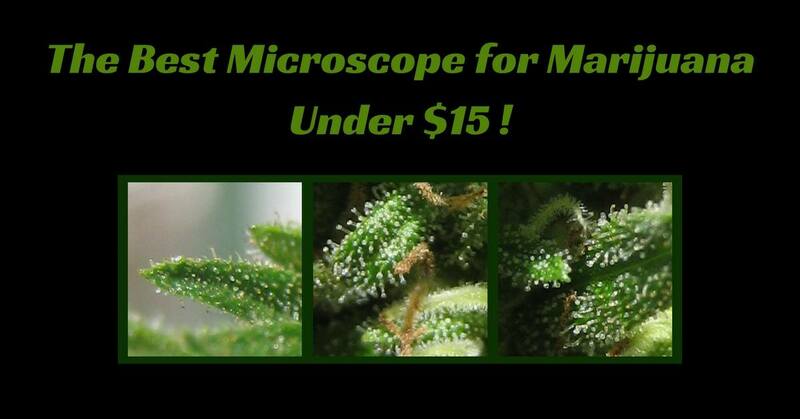 There are two main reasons to have a microscope and they are growing marijuana and purchasing marijuana. There are quite a few benefits of using a microscope when you are growing. The main question on everyone’s mind is deciding when to harvest your marijuana. It’s one of the most important decisions in the entire grow! You could guess and maybe make it out alright if you are a master grower. 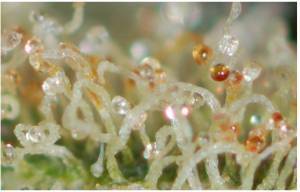 Or use the microscope to see how well the trichome development is and when they are amber enough to harvest. It would be a disappointment to harvest early. If you need some trimmers for harvest check out the review Best Trimmers. Amber trichomes vs Milky trichomes. Every growers nemesis are spider mites. If caught early enough you can salvage your crop. Russet Mites can also do some bad damage to your plants. A pocket microscope could be used to spot these mites before they become a major problem. Sometimes with a glance into the garden you might not notice them infesting your marijuana plants. When upkeep with your plants is not maintained, you can start to develop mold and powdery mildew on your fan leaves and marijuana buds of your plant. Sometimes this goes unnoticed until too late. Always a good idea to check out the buds as they are flowering. It can be a great first defense. There are patients out there that do not grow their own medicine or are not allowed for whatever reason and some choose not to. When purchasing your marijuana from the dispensaries or licensed producers they should be testing test their product. But in some cases, mold in herb is becoming increasing in the United States. For peace of mind you could check your weed for possible mold and see what the trichomes magnified look like and color. Also look at how one bud may be different from the other. When looking for a lens for weed, you can spend a lot of money if you wish and are a trichome junkie. But for just regular use a pocket microscope will be good enough. It is inexpensive and will last a very long time. Look for a microscope that has at least a minimum magnification of 40X. I like to start off at 60X with the ability to go to 120X zoomed magnification. For the close-up trichome shot. Also look for one that comes with a Led light. It is useful for checking on your plants in the dark when they are sleeping without having the grow lights throw off the true colors of the trichomes. Jewelers﻿ Eye Loop is more like a magnifying glass than a microscope. It does have two different magnification levels ranging from 30X to 60X and comes with a really bright led light as well. Batteries Included. The loop can be used to take a quick look at your marijuana plants without going to much in depth. It was popular back in the seventies, eighties. It's the most compact of the pocket microscopes. The Kingmas 60X microscope is a new form of the jewelers loop. This microscope only comes with 60 x magnification level. You can see the trichomes just not as in-depth as other scopes out there with a higher zoom. Be aware you will not be able to see microscopic bugs with this jewelers loop. The kingmas 60x comes with a led light and a purple Uv light. This is great for checking on your plants in the dark. The Carson Micromax Led pocket microscope used to have a magnification to 100x, but recently this has changed. The Carson microscope has a magnification level from 60X to 75X. You can inspect your marijuana for possible mold or fungus. Ideal for harvest time to see those trichomes. Also, comes with Led light for clear viewing which can make things easier during a nightly view. This scope is compact and fits easily into a pocket. The Carson MicroBrite Led pocket microscope is the most popular of the microscopes in the growing community. The Carson Plus MicroBrite pocket microscope is one step above and provides you with the extra 20X magnification you need. A slightly bigger model than the Carson Micromax it still provides a minimum of 60X magnification. With increases viewing ability you will never miss a thing. See the trichomes even closer with better smoother focus. You can also be sure to see if there are any visible contaminants in your herb. This model also comes with a super bright LED light. The Active eye 100 is a microscope with only one level of viewing. You can only see it at 100 X, so everything is really close. The upside is you can see trichomes clearly , and russet mites. Although some have reported a little blurry vision, but eventually dialed it in. The Active eye also has a led light so you can check on your plants in low light. This additional feature for the Carson Micromax is the HookUpz. They are available currently in three different models. The HookUpz provide a way to attach your pocket microscope to your Samsung Galaxy S4, Iphone 4﻿﻿ versions and Iphone 5 ﻿﻿versions cell phones. Which means you can take pictures, videos all in the magnification you choose. Simply connect it and just use your camera of video recorder feature on your smartphone. You could use it to keep track of when to harvest in the last few weeks with the images on your phone. I hope they are starting to come out with more adapter plates for newer phones in the coming years. When purchased in combo it's basically free when compared to regular cost of the Micromax. Has to be purchased in a combo. Tricky to focus on the scope and then phone. After looking over the review, you can decide what microscope is good for you based on your needs and requirements. For myself, the clear winner on the best microscope for marijuana goes to the Carson MicroBrite Plus 60X-120X. It provides clear visibility through the lens, and you start off with a good level magnification of 60X and move towards 120X magnification with ease. You can really see the trichomes under this microscope. It has similar features such as a Led light and batteries included. Where it shines is, the versatility of this microscope with the ability to have the extra 20X zoom is really nice and the size is easier to manage than smaller micromax. It’ the most recommend microscope which is the Carson MicroBrite Plus 60 -120x LED Lighted Pocket Microscope . My first scope was a Carson MicroBrite. It’s just so perfect for what we do that I have never seen a reason to even try a different scope! Tony, I know what you mean they are awesome !